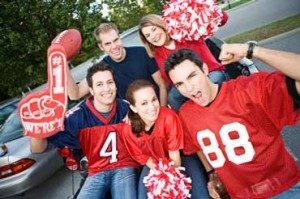 Looking to throw the ultimate Tailgate Party in Edmonton, Sherwood Park or St. Albert? iPlay Game Theatre will transform tailgating into an unforgettable event! Edmonton’s BEST tailgate party idea! We come to you or the stadium! 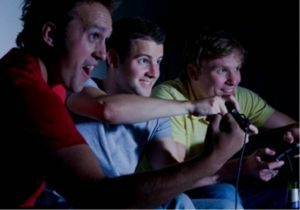 First, we bring our limousine styled video game theatre to your home or even to the parking lot of the big game! Inside, we provide stadium seating for 26 with a high-tech sound system and five huge HDTV’s. Two additional TV’s (dependent on weather conditions) outside allow up to 28 to play at once! Watch the big game and game away! And best of all, with iPlay Game Theatre, there’s no stress and no mess! We make having your next tailgating event almost effortless. We bring the party right to you!